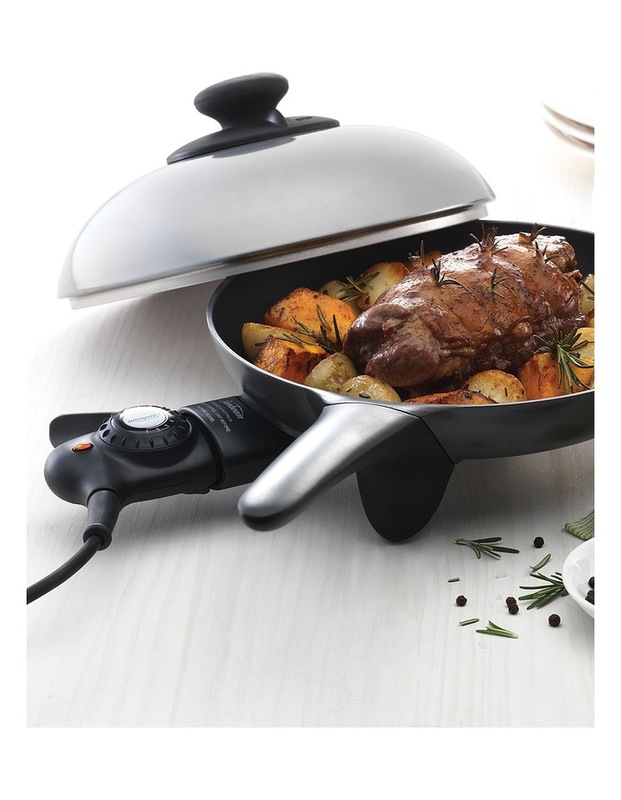 You can cook everything from tasty pancakes a succulent rack of lamb in this 1200W, electric skillet. 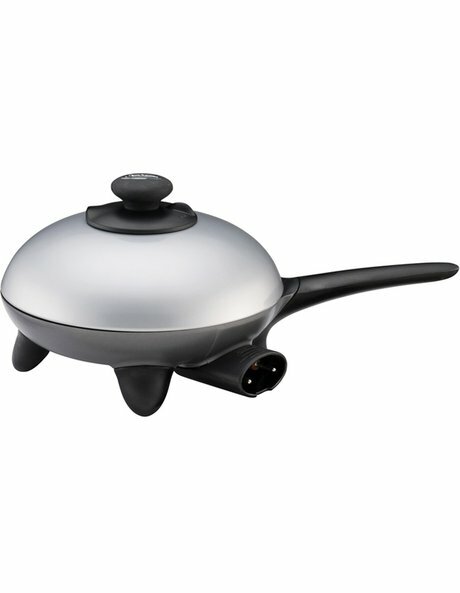 Ideally suited to cooking meals for one or two people, this skillet is curved, so you can flip food like pancakes and pikelets with ease and features a high-domed lid for use when roasting. Metal utensil and dishwasher-safe, the Sunbeam Classic Skillet SK4200P has a triple-coated, non-stick cooking surface, 10 heat settings and cool-touch handles. Includes 12 month warranty.